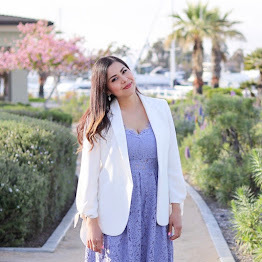 Please note: this is in collaboration with Latina Bloggers Connect and NEUTROGENA®. This post was written by me and expresses my genuine views. I know a lot of girls can relate when I say I have a love-hate relationship with my hair! I love it after I take the time to style it, but I hate it when I do nothing to it because my hair is naturally wavy and frizzy. You know that term "bad hair day" well I think it was created for me when I don't do anything to my hair (lol) and as damaging as hot tools are, I find them to be a necessity if I want my hair to look decent. Through the many years of trying different styles, I have settled on this go-to hair style that makes me most confident and yet looks natural. 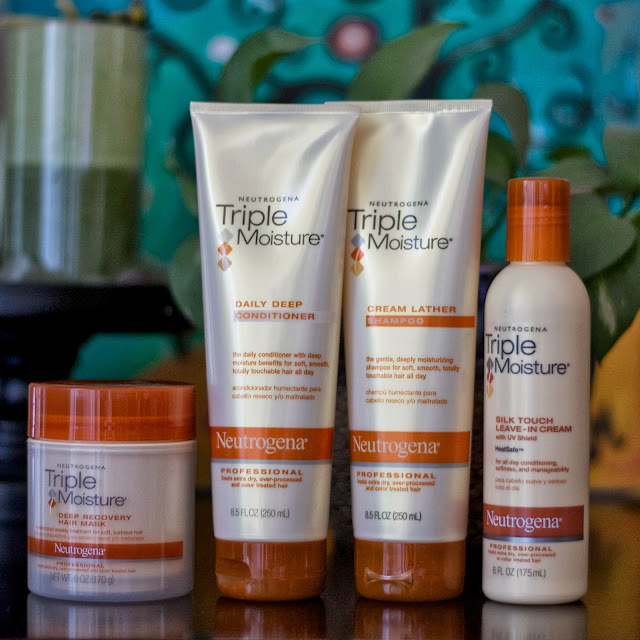 Today I'm going to show you how I tackle the frizz monster with these Neutrogena Triple Moisture® hair products and the simple steps below! 1. Fresh out da shower! In the shower I applied the Triple Moisture Cream Lather Shampoo which is perfect for my extra dry hair. Once I rinsed it off, I followed it with the Triple Moisture Daily Deep Conditioner concentrating on the ends. After shampoo and conditioner, I applied the Triple Moisture Deep Recovery Hair Mask on the tips of my hair and left it in for 3-5 mins to help revitalize my damaged hair. to aid in managing my frizzy hair and help my hair be softer and shinier once styled. I will say that due to the conditioning, my hair was so easy to brush through! To make sure I style all of my hair, I put half up and curl the ends of my hair in sections. I style it this way to give my fine hair a little bit of volume. I then straighten the section of the hair minus the curls (since I want to keep those!) I have come to the conclusion that I need to do this if I want the hair to not frizz up later. 7 & 8. Continue Curling! Ta-dah! Now I'm ready to tackle the town in my long, soft and shiny hair! For more information about the products used click here! Hola Pau, que buena pinta tiene estos productos, tu cabello precioso. 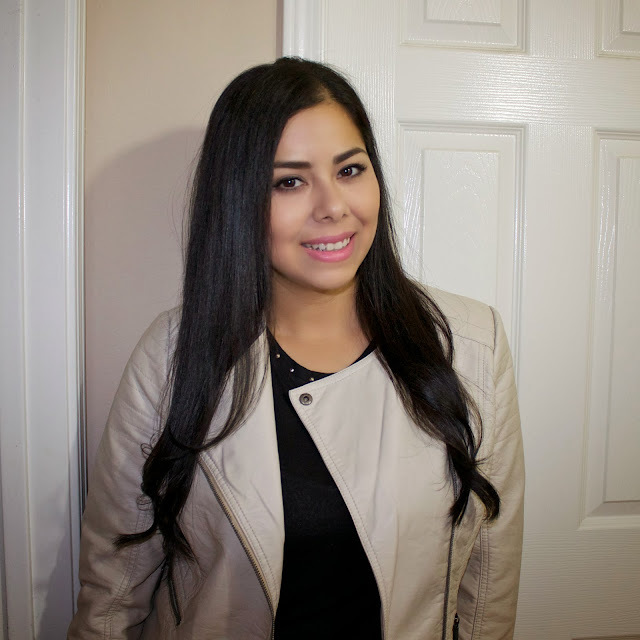 lovely post, your hair looks amazing and your energy in the tutorial photos is so cute! this look really is lovely, your looks super healthy! P.S. I saw some of your sidebar elements are displaying below everything, I don't know if you meant to do that. My blog had a glitch and transferred everything below, figured I'd let you know. Lovely to see how you style your hair. I've never used hot tools (apart from a blow-dryer). Thankfully I am quite good at blowdrying my hair. wow, these products working like magic!!! beautiful hair you have!!! Your hair is so beautiful, you look gorgeous! I have a question, which tool did you use on step 5?..Thanks! wow ,your hair looks beautiful. I've also used the Neutrogena deep recovery hair mask ,and its such an amazing product ,the thing is ,its quite small i tend to finish the jar in less than a month.